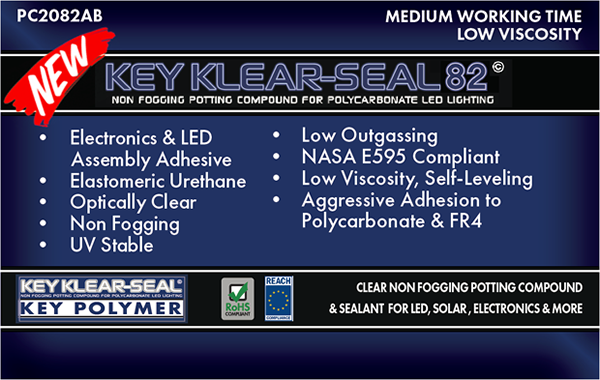 Many of our customers reached out and told us they were looking for a potting compound similar to our Tough-Seal line of products, but optically clear for use in LED, solar, and other electronic applications that require a clear sealant to allow for light to pass through. 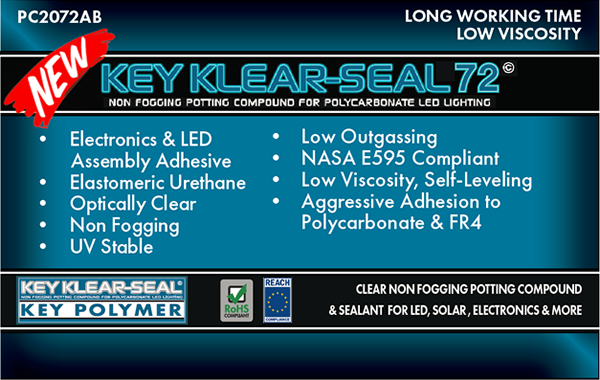 Key Polymer has answered the call, and has created Key Klear-Seal, a new line of non-fogging potting compounds for polycarbonate LED lighting. Click the graphics below to view more details about our different formulations.